I’ve been reading a lot about what I need to know after a miscarriage. Naprapraning kasi ako because until now, I still have menstruation. Lumalabas, 10 days na ako bleeding. Hindi kaya maubos yung dugo ko? Sana fats na lang ang lumalabas sa akin and not blood. Matutuwa pa ako. I read online that it’s expected that I will bleed for at most 2 weeks. I have to stock up pala with sanitary napkins. Speaking of which, I have been meaning to tell you about it, I recommend Kotex Luxe. Have you tried this? First, ang arte ng packaging niya which I like. The wrapper of the individually packed sanitary pads have design. Hindi mo halatang napkin if found in your bag. Akala mo nga, notepad eh. Second, it’s really thin and absorbent. Very nice. I have to stock up on this if 2 weeks pa ako rereglahin. Anyway, I also ready online that miscarriages are not caused by stress. Ha! I told Alvin about it. ME: Babe, sabi dito sa binabasa ko sa internet, yung miscarriage daw aren’t caused by stress. ALVIN: Kita mo ikaw. Sabi mo kahapon kaya ka kumain ng ice cream and nagpamasahe kasi wala naman sinabi OB mo. Naniniwala ka sa OB mo. Pero sinabi ng OB mo na pwedeng nagcause ng miscarriage ay stress. Ngayon, ayaw mo na maniwala. ME: Hindi naman. Nabasa ko lang. ALVIN: Hay naku Anika! Kausapin mo nga tong Nanay mo. They make me smile nowadays. I also read online that there are stages that mothers go through after a miscarriage. Anger – currently patapos na with that. Guilt – going through that -> I wish I knew I was pregnant. I would have taken cared of myself better. Acceptance – I’m looking forward to coming in terms with this loss and heal. Last night I couldn’t sleep. I was talking to a half asleep Alvin. I was trying to figure out when I got pregnant. I realized I was pregnant na siguro during my birthday. Sayang. It would have been a very happy celebration. Figures now why I wanted to eat rice so much that time. I don’t usually like eating rice. Sign na dapat yun. To torture myself more, I even estimated the month when the baby would have been born. Either July or August siguro. May bagong baby sana on our 10th year wedding anniversary in September. I’m like that now. Tears have slowed down. Madalas lang ako natutulala. Although hindi na ako masyadong umiiyak, I can’t stop thinking about it. I spent a large about of time reading miscarriages quotes in Pinterest yesterday. It comforts me. Alvin asked me kahapon, “Ano ba ang magpapasaya sayo?” and I thought about it. Hugs siguro. Madaming madaming yakap. I told Alvin if he can hug me more this coming days. I need it. Entertainer. Yung taong magkukwento lang ng magkukwento about positive and funny things habang nakatulala ako. A visit to a church. Hindi pa ako pinapayagan ni Alvin tumayo and umalis ng house. If I can na, I want to go to a church. Maraming akong tanong kay God. May altar naman daw kami dito sa house. Bakit hindi daw ako dito magdasal? I don’t know. To tell you the truth, ever since I found out about the miscarriage, I haven’t “talked” to God yet. Parang nirereserve ko sa one on one with him. I know I will feel a lot better after talking with him. Milk tea. Faye and I ordered milk tea yesterday from Cha Time. Milk tea with mouse. Masarap din. Conti’s Mango Tart. Or Kumori’s Hanjuku Cheese or Salted Cheese Yakigashi. Or Conti’s Baked Prawns or Salmon. Isabel. Ang lakas makagood vibes ni Isabel. I mood lifted when she and Faye visited me yesterday. And it’s only been the weekend and I’m bored here just lying down in our living room. Ayoko tumabay sa bedroom kasi feeling ko may sakit ako. At least dito sa sala, I can trick my mind that I’m just chilling in the house. Kung hanggang kailan pwede ko lokohin utak ko, I don’t know. Nawiwindang ako if nakapetiks lang sa house. Bawal pa gumalaw galaw. MagMarie Kondo sana ako kaso mukhang strenuous ang labanan sa mga gamit ko. Netflix is my new best friend. I’m starting on the Lucifer series as recommended by Abeth. Nakakaaliw. What are your other suggested Netflix movies and shows? Buti na lang talaga may blog. It really helps. I got my medical certificate yesterday. Two weeks pala ang suggested rest by the doctor. I hope I can get a fit to work before next weekend. Hindi talaga ako sanay ng walang ginagawa. I need to work or to do things to keep my mind preoccupied. Thank you still for all the messages that keep on coming. I really appreciate them. Have you seen Birdbox in Netflix? Mommy Fleur, keep on trying po for a baby as soon as pwede na. Madami ako naririnig na mas malaki chance mabuntis ulet after ng miscarriage/raspa, etc dahil mas lumilinis yung ovaries. sending my virtual hugs, Mommy Fleur! 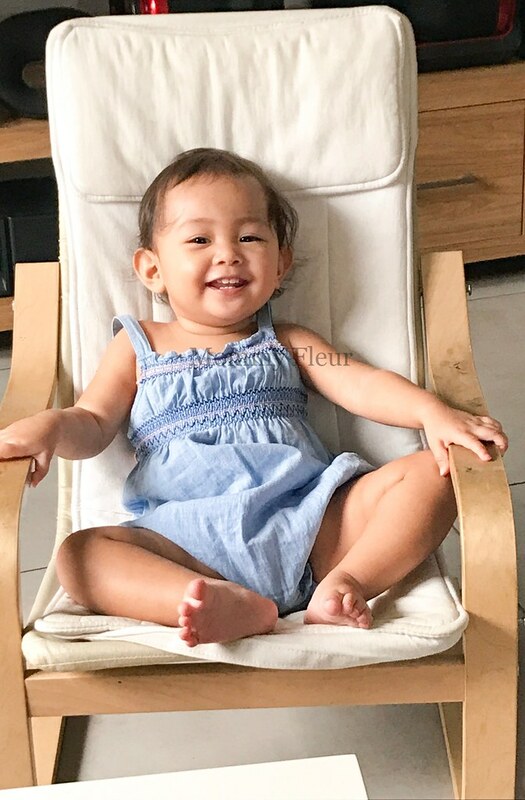 Hi Mommy Fleur, I’ve been reading your blog since 2015 and I’ve seen your journey on having a sibling for Anika since then. I am praying for you and will continue to do so. God bless you and your family. Hugs and warmth to you Fleur. The plus here is it means you are still child bearing. we must revel on the small joys that come our way. On Netflix, watch Terrace House, start with Opening New Doors. It’s very calming and slow but addicting. Hang in there, Fleur! Praying it gets better for you in the coming days! You are beautiful and you are loved. Paulit ulit mong sabihin sa sarili mo yan. Eye opening daw yung Minimalism sa netflix bigla daw maglalaho yung pagka hoarder ng isang tao pagkatapos. Haha. Yes… pwede mag maternity leave..